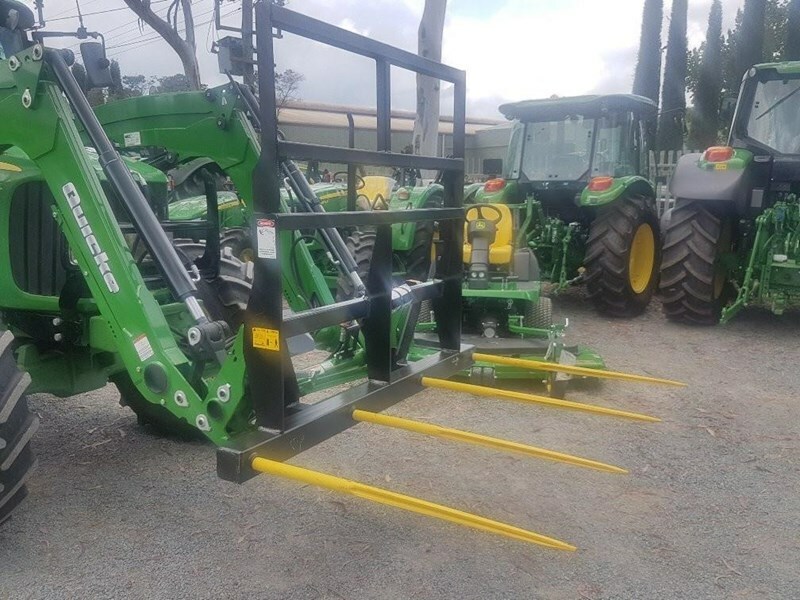 New Challenge 4 spike hay forks. Designed to handle large square bales, but can also do rounds. Loader attachment lugs are welded directly to the frame with Euro hitch. Challenge 4 spike hay tine assembly. Euro hitch. $2210 inc.
Back rest extension. 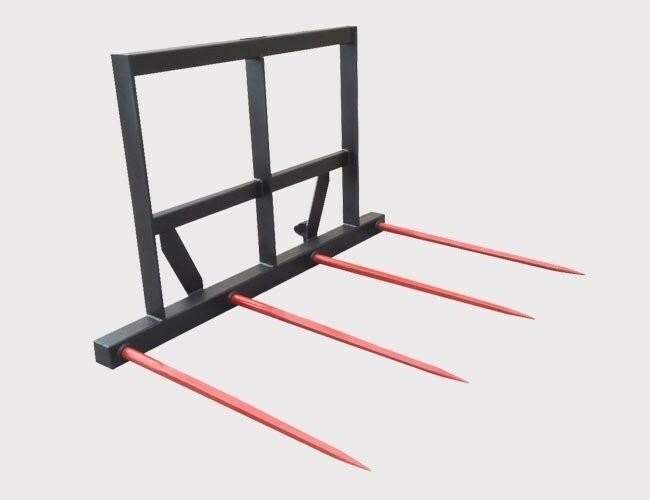 (Enables 2 bales to be lifted safely) $640 inc.
Total - 4 spike with back extension as per photos. $2850 inc. 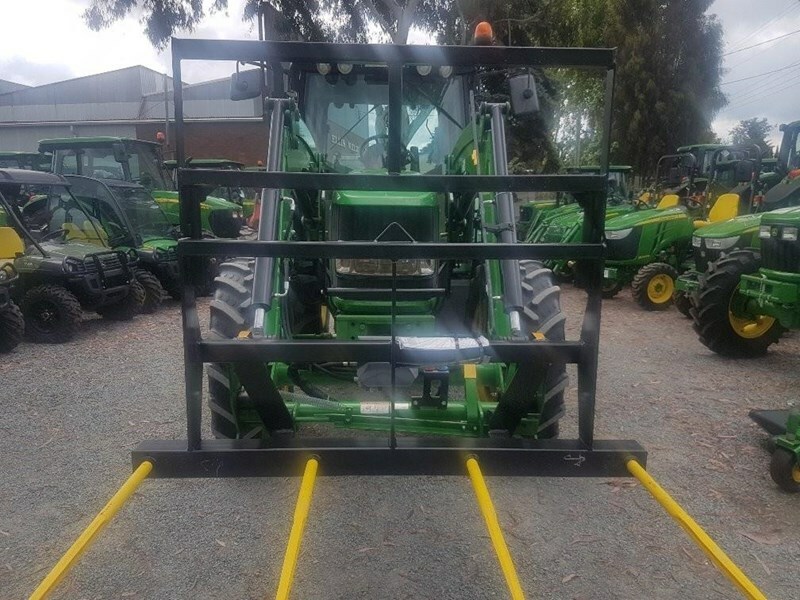 Located at Agriquip Machinery (John Deere) Bowral and Queanbeyan NSW. Please call with all your attachment requirements. 02 4862 9000.